Note: This blog is based on/inspired by a presentation I gave at the 2008 Jewish Children's Book Writers and Illustrators Seminar in New York City. I chose to update it for several reasons: during the holiday of Sukkot, we read the Book of Ecclesiastes -- from which this quote is taken, so it is timely. Also, the 17th Annual Jewish Children's Book Writers and Illustrators Seminar, sponsored by the Jewish Book Council, will take place on Sunday, November 15th, 2015 (in New York City), again timely. Also, this month's deadline sneaked up very quickly, so I wanted to post in a timely fashion. Enough with timeliness and onto the books! Yes! 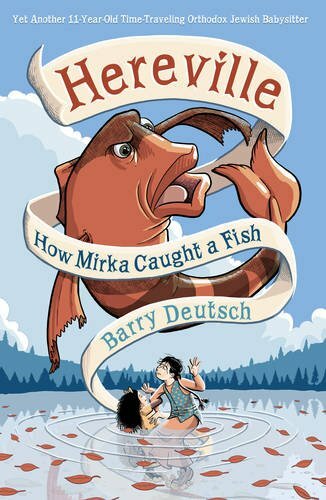 Mirka is back in this 3rd book of the series by Sydney Taylor Book Award Winner Barry Deutsch. This time Mirka is a travelling baby-sitter. A magic fish, sibling rivalry, and some Jewish wisdom - I can hardly wait! Of Making Many Book There Is No End – Rashi notes that it is not possible to commit everything to writing, and Rabbi Yisroel Salanter cautions that not everything that man thinks must he say; not everything he says must he write, but, most important, not everything that he has written must he publish. Here's a title that came to mind: The Book of Jewish Secrets: and Why Most of Jews are Not Real Jews. I guess it would be worth $2.99 for a Kindle edition to learn the secret. 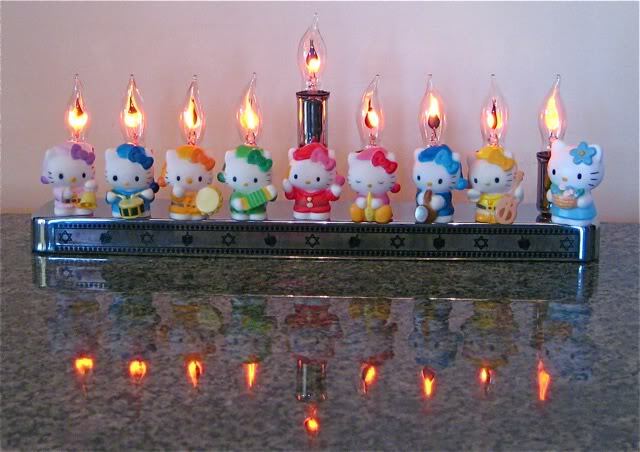 I also think about this when I see Clifford, Grover, and mice celebrating Hanukkah. I didn't even know they were Jewish. 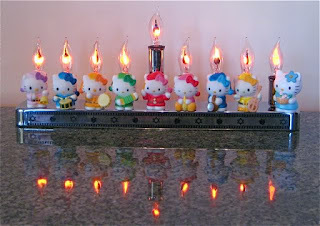 But, if Hello Kitty starts celebrating, I just might have to read about her. In the meantime, Leslea Newman's Ketzel, the Cat Who Composed will fit the bill for feline reading -- cats, music, friendship - MEOW! Of Making Many Books There Is No End - The Midrash comments on this verse that there are 24 books in the Jewish canon, and that it should be ample reading material. Indeed, Jewish culture is full of potential topics. I just started a book by Heather Streltzer Gelb about her path from Rwanda to Israel - From Hilltop to Hilltop. So far I am reading about her experiences working for the Peace Corps in Rwanda in the early 1990s (before the genocide), and while there is a tiny bit of Jewish content, her daily life in Africa makes for interesting reading. Next month: more on Heather's path and some Lovingkindness.